If you were enraged when ISIS extremists bulldozed the ancient Assyrian city of Nimrud in Iraq, or in 2001 when they dynamited the 6th-century Bamiyan Buddhas in Afghanistan, you were probably feeling equal doses of anger and helplessness. These were both physical marvels, and we watched them senselessly annihilated by ignorance and hatred. But traditional customs and culture can die, too. 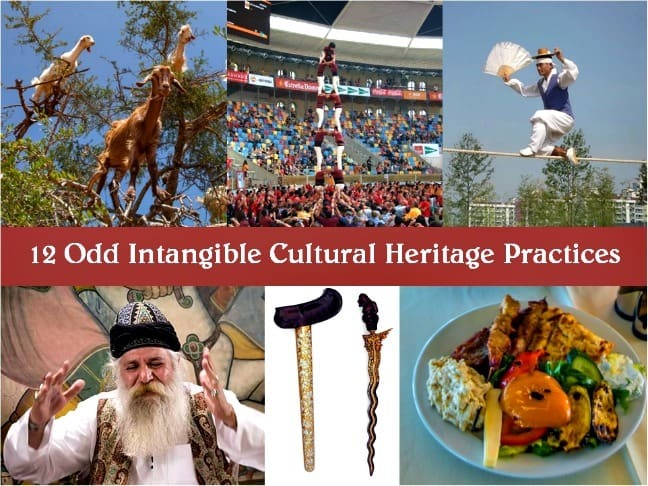 That’s why UNESCO created an Intangible Cultural Heritage List, which covers cultural traditions in dire need of protection. This list contains plenty of the things you would expect– song, dance, festivals, crafts and arts. But it also contains many more unusual, protection-worthy practices which are on the brink of destruction. First documented in the early 1700s, I initially saw castells in Girona, Catalunya (in northern Spain). I held my breath as rows upon rows of humans climbed on each others’ shoulders, teetering but firm as my heart beat a two-step. 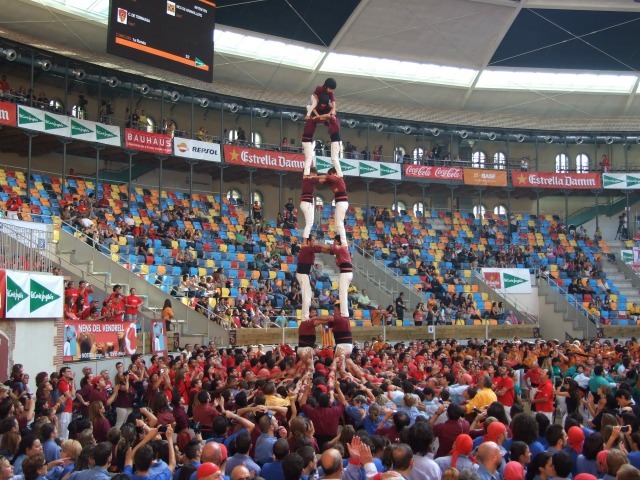 They were a good nine or ten rows high when a tiny girl, not even in her teens, skipped over her taller castellers to reach the summit of this human pyramid. As the music cheered them on, their shirts, black sashes and white trousers fluttered in the wind, a human tower swaying with every cheerful note. The aim: to build as many layers as possible. And not tumble. 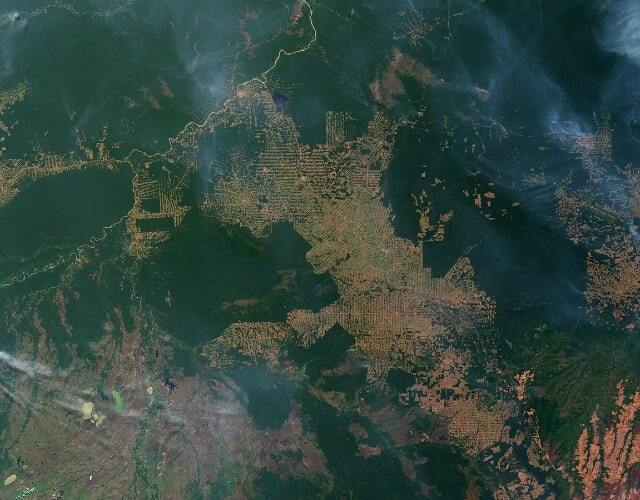 Deforestation is a major threat to cultures wherever large forests still exist. These days, stepping into certain parts of the Amazon is enough to bring tears to your eyes as rumbling trucks bearing giant logs replace once-thriving forests. One such forest is in the southern Amazon, in a place the Enawene Nawe people call home, where the sacred Yaokwa ritual takes place. This ritual restores order by enforcing sustainable living, rotation of farming and fishing, and maintaining balance in the natural and spiritual world. Hunger for wood, mining, pollution, dams, poaching, burning… these are the threats. With such precious knowledge and understanding of sustainability, this ritual is an example of how we must sometimes look to the past in order to fashion the present. I came into contact with ebru during a recent visit to Istanbul, where I spent the day discovering the ancient art of marbling, whose murky origins lie somewhere around the 16th century. 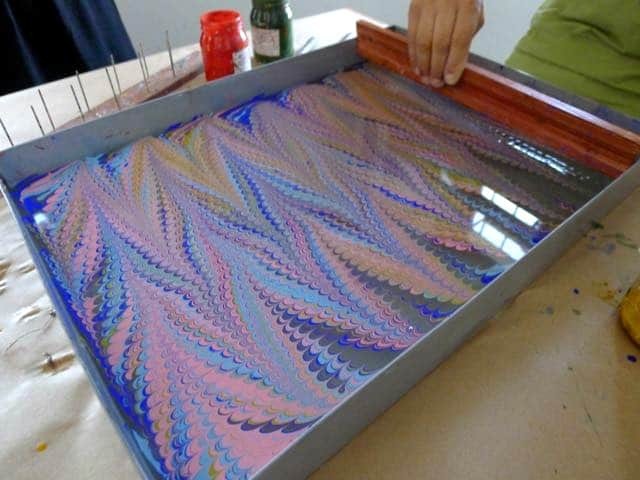 At first sight ebru looks simple– making patterns with color pigments in water and transferring the pattern to paper. But that’s just a first impression: I spent an entire day getting one done properly. To achieve the skill and dexterity needed for complex designs takes several years of training. Both men and women do ebru, although women seem to outnumber men. While official protection will definitely help preserve this tradition, so will visitors to Istanbul who have taken to it, lining up for classes to walk away with at least one acceptable design. 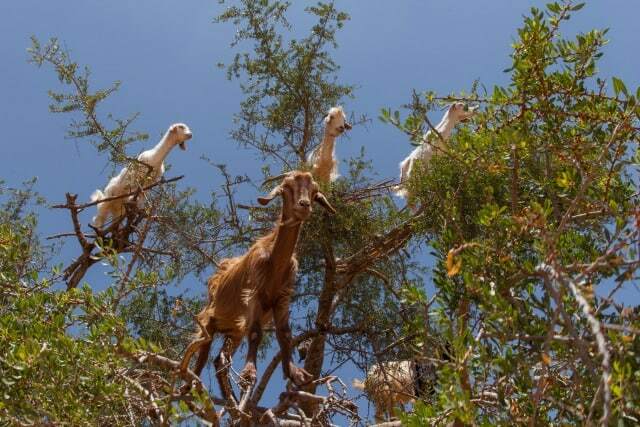 If there was ever a show-stopper in Morocco, it’s the sight of goats munching the leaves of an Argan tree while standing in the tree. Argan is widely used in southern Morocco, usually in the form of edible oil, but also as a scent or a soap used in a hammam (or steam bath). Collectives, mostly women, gather the fruit, dry it, grind it and sort it, extracting the oil with a traditional mill that is still made locally. The knowledge associated with the oil is traditionally passed down from mother to daughter. But these days commercial argan cooperatives and shops threaten not only traditional livelihoods, but the actual secrets of making the oil. This art form requires much more than acrobatic skills: Jultagi is a story, accompanied by music, words, humor and mime, creating a dynamic show that increases in difficulty as the entertainment progresses. 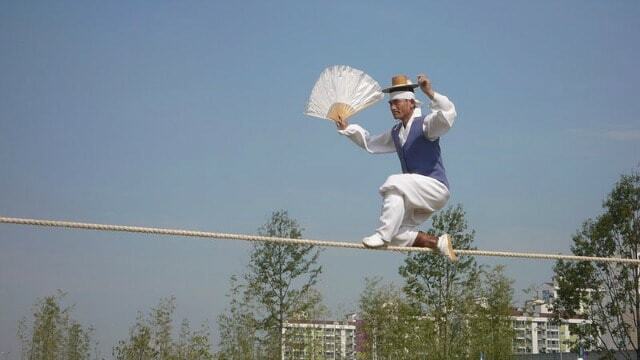 It may well date back to the first few centuries of the Christian era, although tightrope walking is a bit of a misnomer. The craft involves leaping, jumping, gliding, sliding, running and all manner of movement while standing on what, to me, looks like a mere thread. These days an association protects jultagi, with classes and internships to ensure the art isn’t lost or turned into mere circus entertainment. Long before it became Western society’s darling weight-loss plan, the people of the Mediterranean Basin gathered to share meals in a healthy and social way that involved far more than simply eating the food. The Mediterranean Diet was originally as much about harvesting, conservation and cooking as it was about consuming food. The cultural heritage at risk here may be surprising: It isn’t the food itself that’s in danger, but the ritual that surrounds it– the values of community and hospitality, the seasonality of its rhythms, and the embrace of the diversity it represents. As in many parts of the world, storytelling is central to the culture of Iran. Naqqāli is its most famous manifestation, dating back to the Safavids in the Middle Ages. 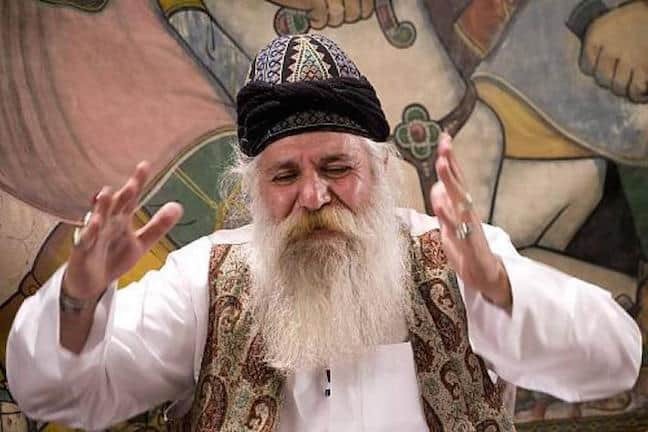 Naqqāli is about telling stories actively, with gestures and verse punctured by music and colloquialisms, all performed in coffeehouses, nomadic tents or caravanserais. Interestingly, many Naqqāls are women, even when the audience is mixed. This once-popular performance art has gradually been edged out, with television and the Internet replacing traditional storytelling. But the art involves great skill– memory and voice and plenty of gesturing, waving canes and reciting poetry, all in homage to God. 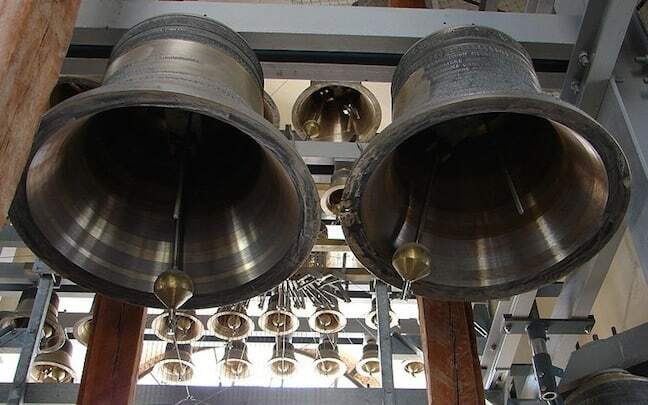 Carillons are bells– usually church bells, but not necessarily used for religious purposes. The bells are rung by skilled specialists who have trained for the task, mostly to call people to market or to signal a special holiday. The culture surrounding the carillons goes beyond bells and includes other instruments, song, history, and a plethora of accompaniments that make up an entire cultural ensemble. Schools and museums ensure the tradition is passed on, and special educational institutions are dedicated to both preserving the old and innovating for the future… a good way of ensuring that such a historic tradition will persist. 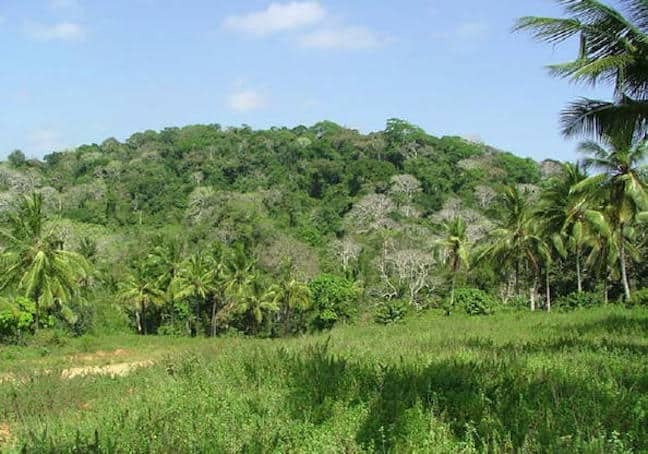 The Mijikenda people guard the 11 Kaya forests of the Kenyan coast, which are filled with mythology, history and medicinal plants which serve as a natural pharmacy. Created in the 16th century but abandoned by the 1940s,these sacred sites are now regarded as the abodes of ancestors. Over time these forests have faced many threats. Towns have spread, cutting off one kaya from another. Wood from the forest is cut for fuel or for building materials in the tourist industry. And young people are drifting away, uninterested in their forbears’ traditions and anxious for jobs in towns. I met a few of the elders who remain behind to “guard” the kayas, spending their days resting against trees which may only remain standing because of the legal protection they now have. I fell in love with the Kris Knife before ever visiting Indonesia. When I finally went, this was the one purchase I wanted to make before leaving. 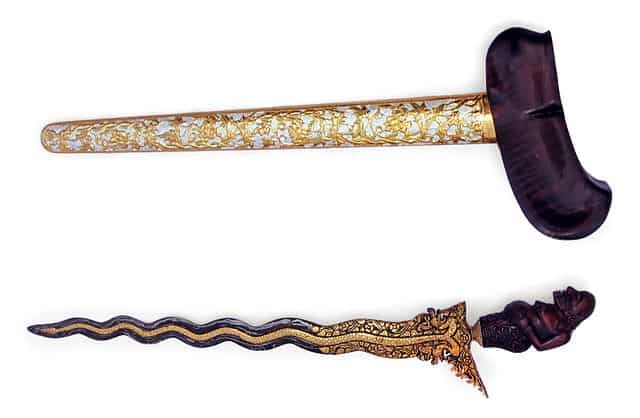 While the Kris Knife is a weapon, it’s also considered to have magical powers and is simply beautiful to look at. The blade is willowy and curved, made of layers of different metals and alloys folded over one another, a skill that is rare and endangered. Unusually for this type of weapon, the kris is worn by both men and women and is believed to pass on strength and courage to its owner. There is a revived interest in these knives today. While that helps maintain the tradition, it also opens up a market for cheap imitations that degrade its fine artistry. 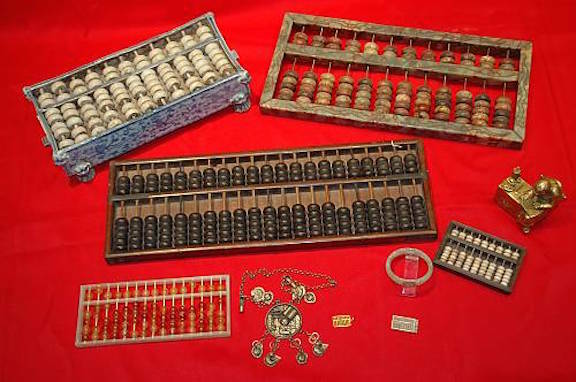 It’s not the abacus itself that is protected, but the calculations undertaken using this wooden tablet filled with beads. Zhusuan looks so easy– just swing a few beads to the left or right. But, without extensive training, only the simplest of operations will succeed. The art (or science) of exponential equations and algorithms was in full bloom centuries ago, but the history of the abacus is murky. It may have been Chinese, but it also may have been invented by the Greeks or, even earlier, by the Persians. Not only is this a calculator, but the abacus contributes to our learning, logic and memory. Sure, we have other ways of counting now. But without the knowledge provided by the abacus, who knows what we might be doing with numbers today? 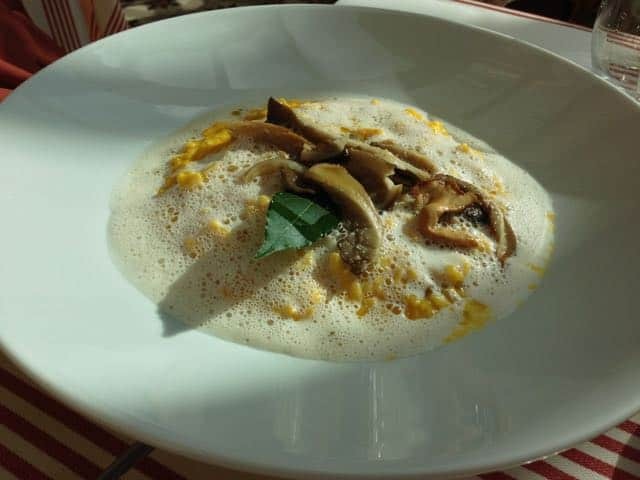 Of all the things I found on UNESCO’s Intangible Cultural Heritage List, the French gastronomic Meal was perhaps the least expected. It is unquestionably a meaningful social practice, with its own beauty and ritual. 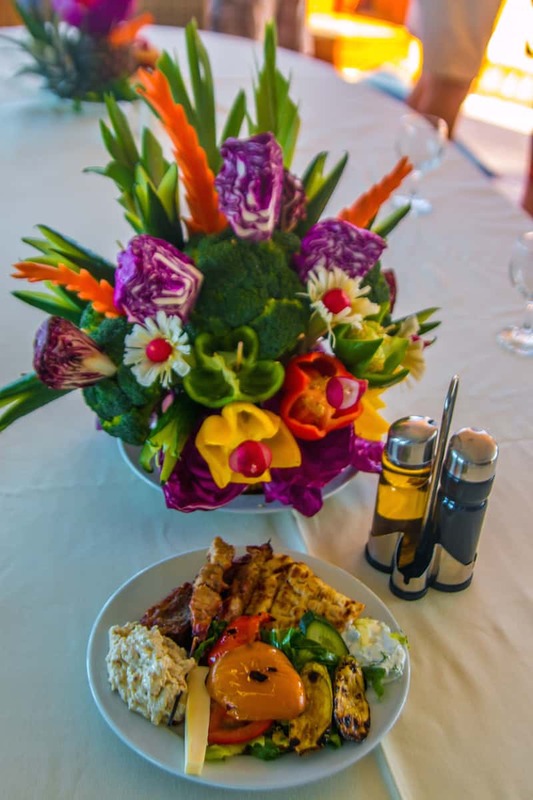 In a world of fast foods and prefabricated cuisine, it may make sense to preserve a tradition that pairs foods with wines, celebrates a beautifully set table, gathers people around several delectable courses and allows them to partake of the freshest and tastiest local produce. Everyone loves a good meal, but the inclusion of a “set” meal– which starts and ends with alcohol and is strictly structured into courses in-between– is as much surprise as it is delight. Leyla Giray Alyanak is a former foreign correspondent with a passion for travel and improving people’s lives in developing countries. At 43 she made a major decision to reinvent herself and left to travel the world solo for six months. 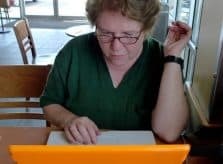 She was gone more than three years. Her website, Women on the Road, helps empower women through travel. You can also meet up with Leyla on Facebook and Twitter.